Being asked to speak at the Summit is a fantastic opportunity to represent what Cape Town Tourism is doing, in addition to learning from our peers, particularly as we note urban growth taking place and the effect this has on tourism. The World Bank states that more than half the world's population lives in cities, and this proportion will reach 70% by 2050. To make sure that tomorrow's cities provide opportunities for all, it is essential to understand that the concept of inclusive cities involves multiple spatial, social and economic factors. From our perspective, as we seek to capitalise on tourism development opportunities, we’re cognisant of the need for a parallel process to take place that incorporates the principles of inclusive processes and sustainable tourism in alignment, to ensure that all locals have fair access to the market and that tourism development does not unfairly advantage one community over another. Bearing in mind Cape Town’s multi-cultural nature, along with the huge variety of experiences and attractions available, our goal is to ensure that we build a tourism environment that provides access to all, in particular, historically disadvantaged communities, through a number of initiatives such as development of local neighbourhood tourism, opportunities for skills development and providing networking opportunities so that smaller businesses don’t have to operate in isolation, but they can collaborate with larger tourism enterprises. We’re ideally placed to document this process, since we’re a growing, developing tourism destination and market. Inclusivity as a concept incorporates themes that we’re familiar with: addressing transformation, applying innovation and creativity and ensuring that all strategies are sustainable to create an environment that can grow according to scale, and that job creation will lead to real prospects for lasting employment; as well as a space within which entrepreneurs can flourish. • Creating opportunities for the younger generation. Over the past year, we have promoted cultural inclusivity by encouraging local tourism operators to become market-ready for the Muslim-friendly travel segment. We have done this by highlighting Cape Town’s Muslim culture and by encouraging its further development through training and partnerships; by opening up global opportunities to local operators through creating international partnerships; and by marketing to selected audiences. Our neighbourhood video series has been the catalyst for area-based support and product development. These videos market lesser-known areas of the city and in doing so, they encourage the geographic and economic spread of tourists throughout the city. The videos also tap into the travel like a local trend by highlighting areas that are rich in culture, with a lower density of tourists. 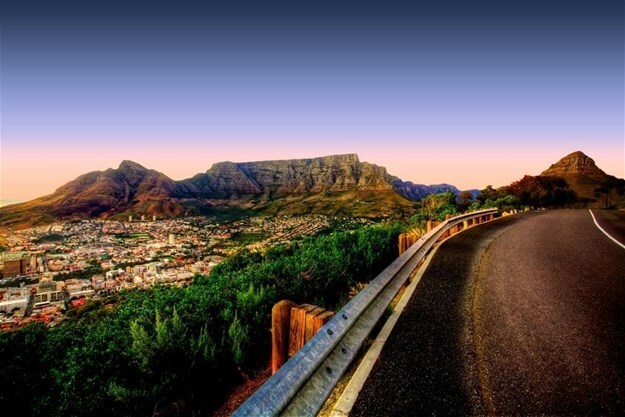 You can see exactly what we mean by exploring the series (and our neighbourhoods) on the Cape Town Tourism. During Tourism Month last year, we gave sixty grade 8 and 9 school children the opportunity to visit some of Cape Town’s best-known attractions as part of our #WeDoTourism Tourism Month campaign. The day out educated scholars about some of the opportunities in tourism, which is one of the top three contributors to the country’s GDP. Over the past year, we have also hosted eKasi Sessions across different Cape Town neighbourhoods in an effort to listen to some of the factors that are hampering tourism growth and development, and to gain insights into how communities are working together to overcome these circumstances. The sessions culminated in a "speed dating" meeting between local operators and larger tourism operators. We are essentially an industry connector, and our goal is to foster tourism growth by cementing these kinds of partnerships, in which operators can work together to create a more inclusive, and more exciting, tourism offering for our visitors. Fairness and inclusivity must be at the heart of tourism development in order to secure a sustainable future for tourism and the communities within which it takes place.